The joy of food blogging is that many good food as well as good friends have crossed path during this journey. I am privilege to get to know a group of foodies who really know their food. 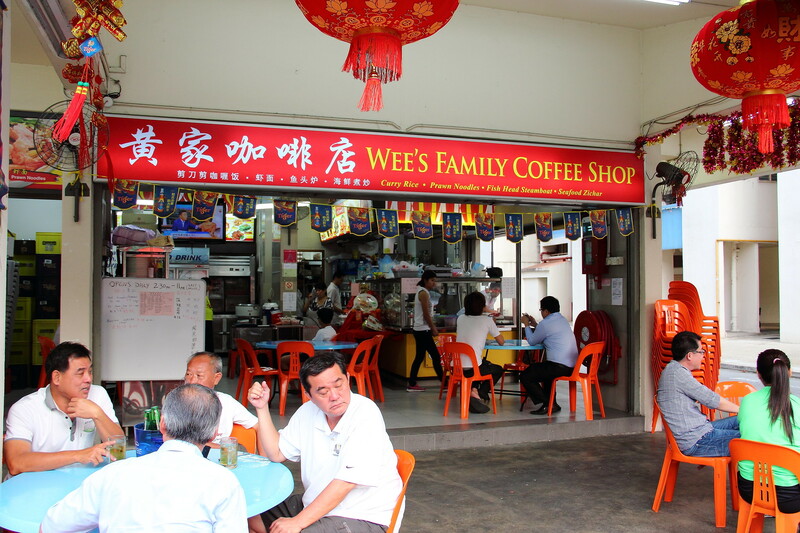 They are the real food heroes, heroines and critics that eat their way around Singapore, discovering hidden gems and have in depth knowledge of the food, culture and heritage in Singapore. 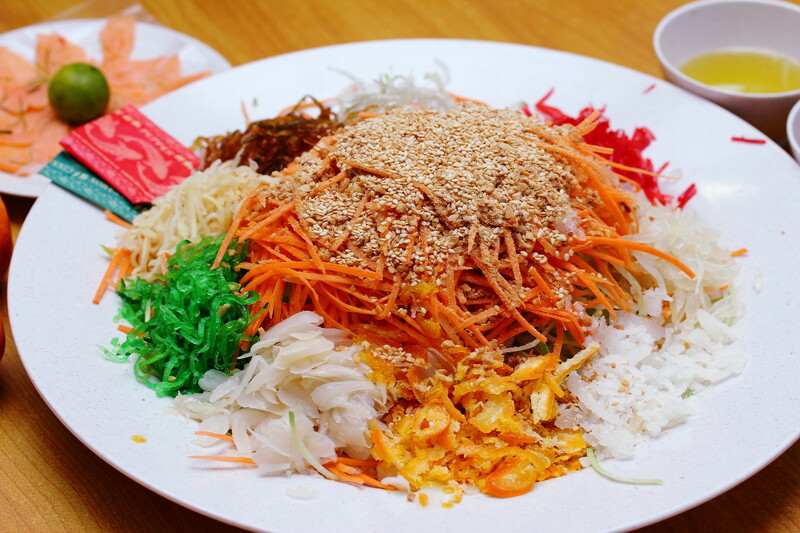 Subject to everyone's busy schedule over the Chinese New Year, we managed to gather a couple of Food Intelligence Network (FINS) members for a Lo Hei dinner at Wee's Family Coffee Shop at Bedok Reservoir Road. The little zi char place is tucked away at a corner, hidden away from the main street. It serves some really good and delicious food. 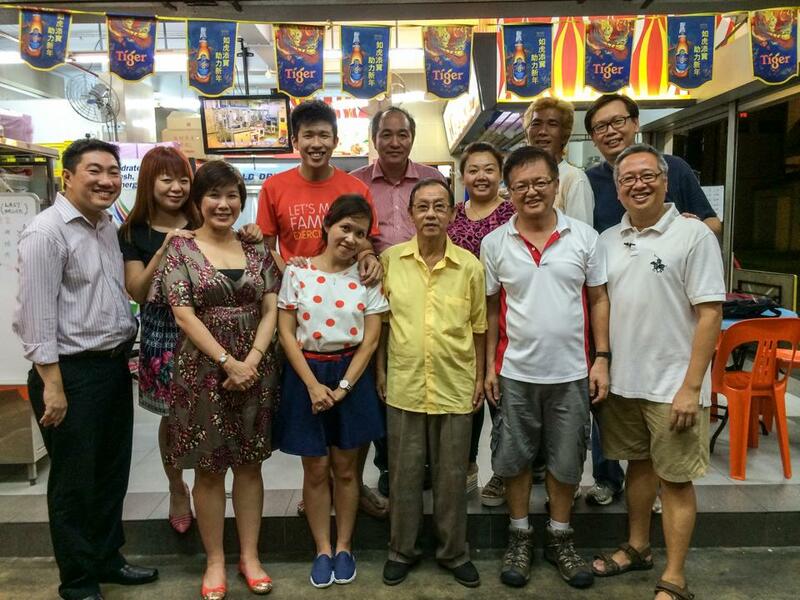 After the prosperity toss to an abundance year ahead, we had the Fish Maw Soup to kick start the dinner. 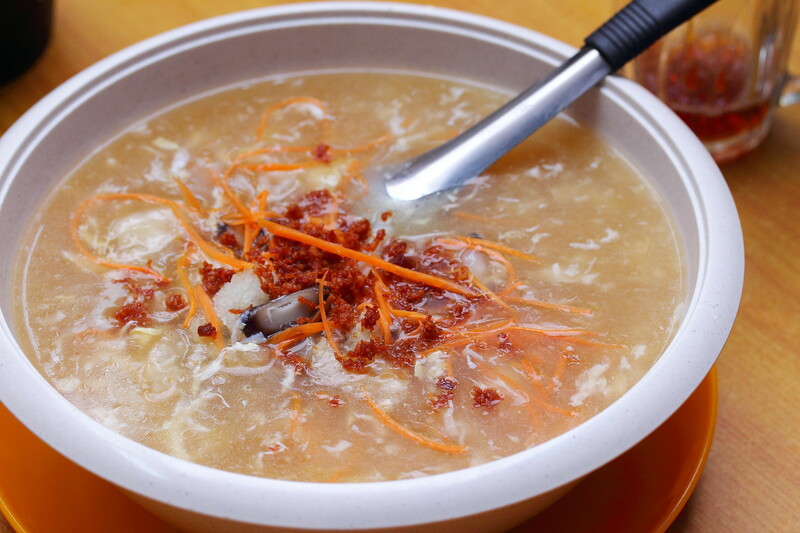 Foodie is foodie, we even added Martell cordon bleu into the comforting bowl of fish maw soup. Next, we had the Stewed Pork Knuckles and Sea Cucumber. It is like a mini pencai served on the plate. 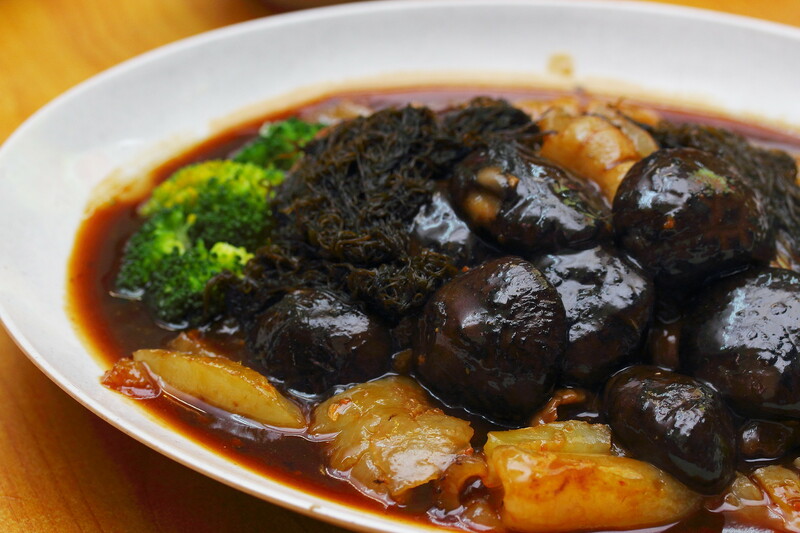 The braised sauce was well infused with the various luxurious ingredients on the plate. The fork tender stewed pork knuckles and the bouncy sea cucumber were one of my favourite dishes for the night. 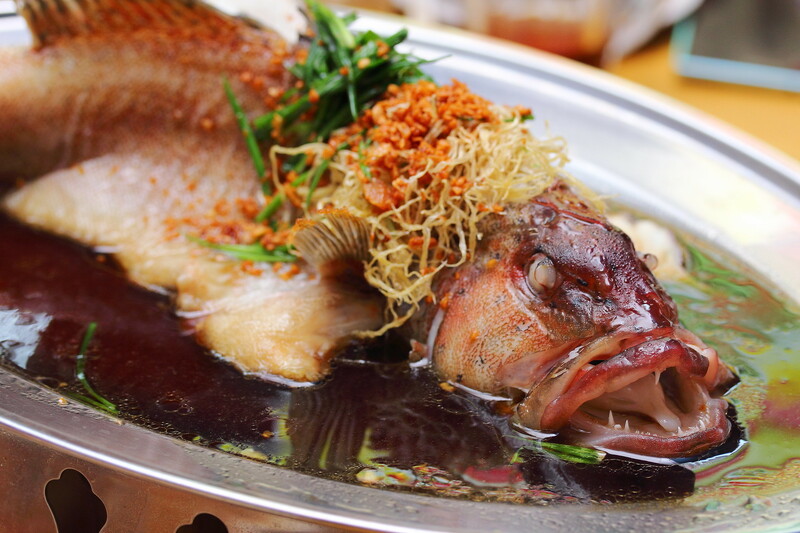 Following that is the Hong Kong Steamed Red Grouper. The fish was steamed to perfection to a nice soft and moist texture. 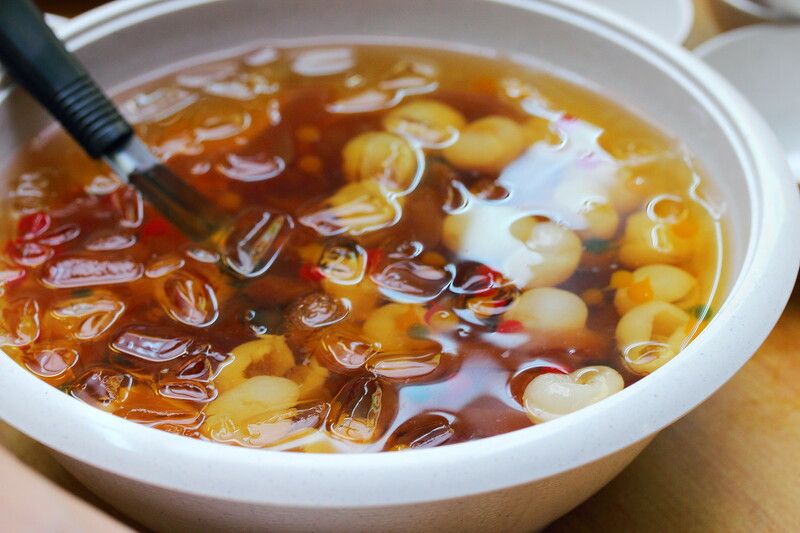 The soy sauce based gravy was the highlight that complemented the fish meat excellently. 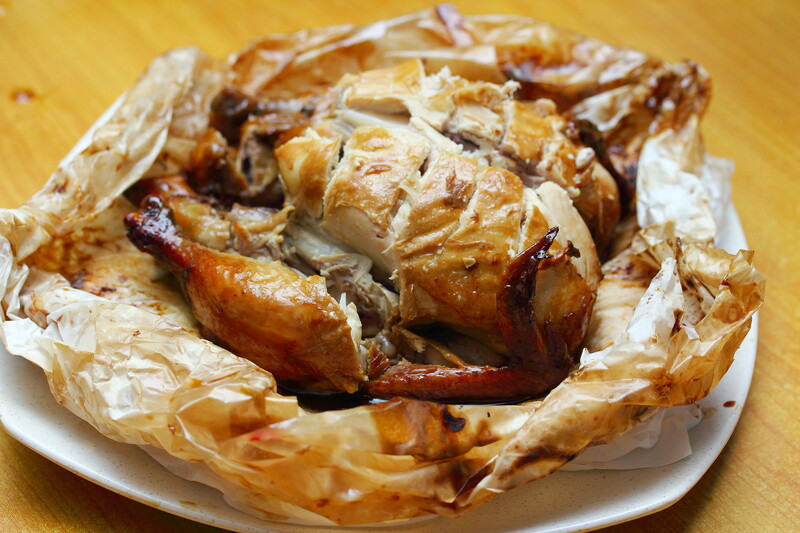 Moving on to the next dish is the Whole Salted Baked Chicken wrapped in 3 layers of parchment papers. 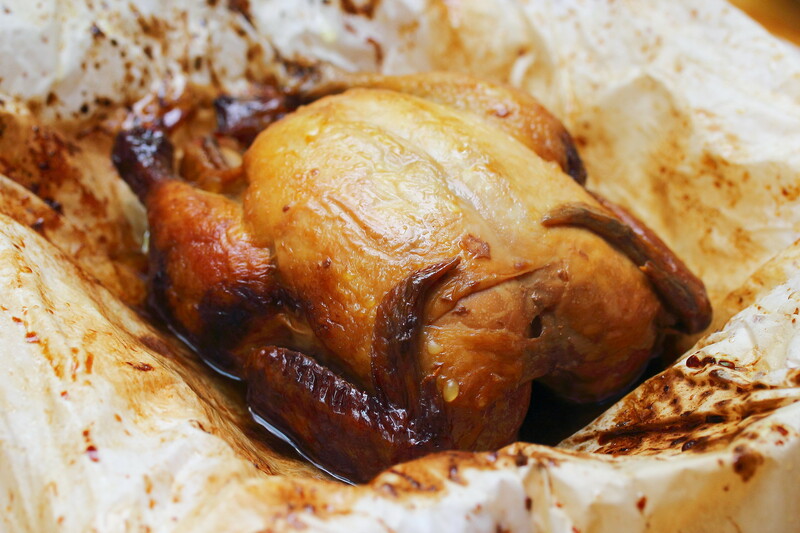 The aroma of the chicken filled the air as each layer of the parchment papers were revealed. This is my first time having the salted baked chicken and I totally enjoyed the fragrant and tender chicken. After all the meats and seafood, it is good to have some greens. 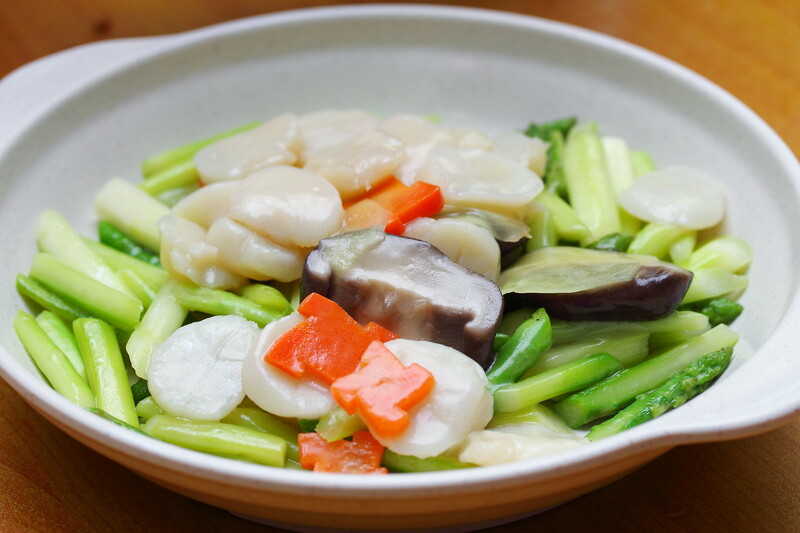 A classic Asparagus and Scallops ensured everyone of us have a balanced diet after all the proteins. Nothing fancy, just a simple dish to enjoy the sweetness of the asparagus and scallops. 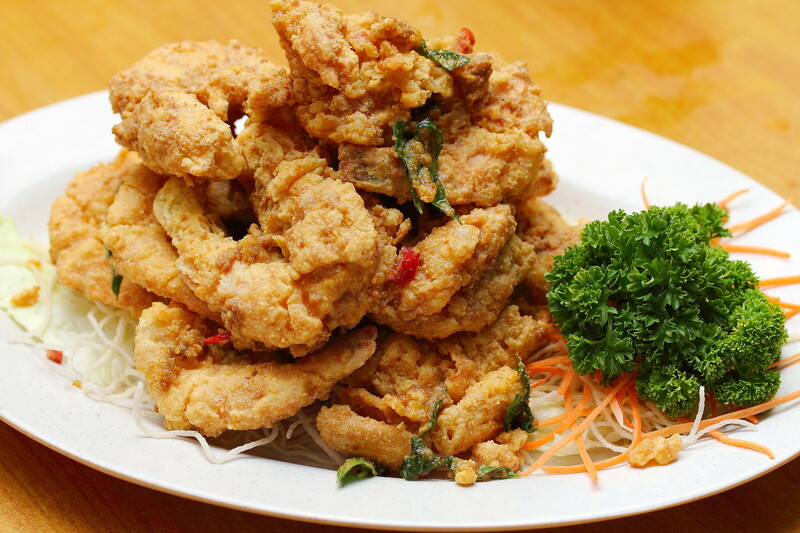 The star for the night that keeps everyone raving about is the Golden Prawns. A crispy salted egg yolk crumble is coated around the crunchy and succulent prawns. It was so good that I ate the whole prawn together with the shells. This is one dish I would go back for. I was told that the salted egg yolk squid is as good if not better than the prawns. 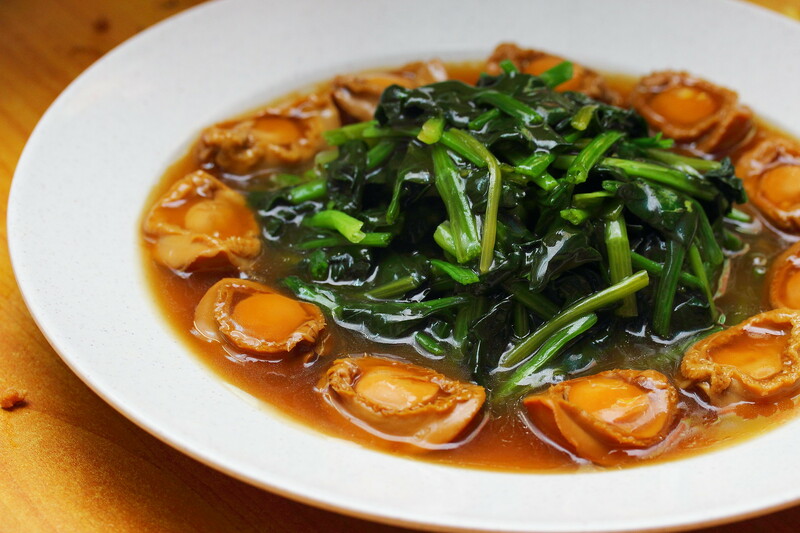 The Abalones and Greens brought a smile to everyone's face. It look like golden ingots sitting around the greens. For a coffeeshop zi char place, I am quite surprise to find such value for money , decent sized abalone being served. It was plump, firm and cooked to a nice tender texture. 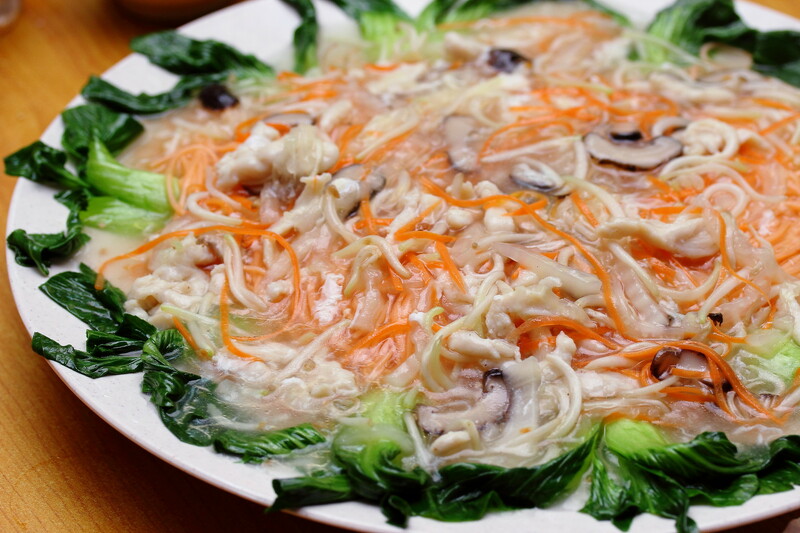 Longevity Noodles which is usually eaten during birthday symbolizing long life is served next. The gooey gravy coated around the long noodles made it slurping good. Last but not least, we had the Sea Coconut and Longan dessert to wrap up a wonderful lo hei dinner with the great foodies company.